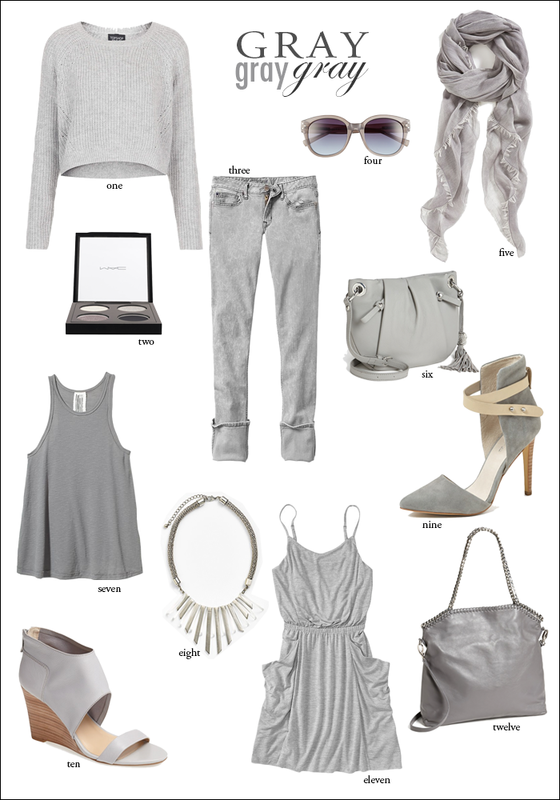 Gray is becoming a new favorite color of mine - I love gray shoes, handbags, jeans, etc... Here are just a few of my top picks. I'm in loooooove with the color gray! Seeing so many gray pieces in this blog post just inspired me to dig into my own closet for grays :) Especially obsessed with those jeans and that purse! !